After using Spreaker for my audio podcast over the last few weeks, here's my first review. 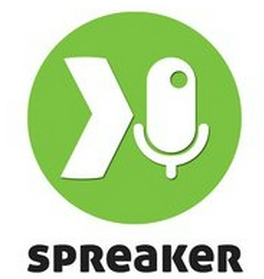 As a great alternative to iTunes, Spreaker is a free online service that allows you to create a podcast. You can upload your own music or choose from the library of pre-recorded track and sound effects. I was honored to have my podcast featured as Staff Pick of the Week back in July and overall I think it's a great service. I created a Wish List for 5 things I like to see changed on Spreaker and hopefully the folks at Spreaker will take them into consideration. You can listen to my podcast on Spreaker at Ms. Ileane Speaks and you can find it on iTunes.